Ladies and gentlemen, when the Palestinians say “two states” they do not mean what we mean — Maj-Gen. (res.) Amos Yadlin , October 2018. With the impending public announcement of the enigmatic “deal of the century”, pledged by the Trump administration, rumors are swirling throughout the Middle East — and beyond — as to what in fact, its real nature might be. This, together with the dramatic rise in the electoral prospects of the newly formed “Blue & White” alliance between Benny Gantz and Yair Lapid, has once again raised the ominous specter of the return of the two-state principle. Indeed, although no authoritative preview of the detailed content of the “deal” has been provided by the White House, the little that has been released referred to it as including significant Israeli concessions. Moreover, the leaders of “Blue & White” have repeatedly referred to their approval of the principals of the INSS (Institute for National Security Studies) plan for unilateral concessions in Judea-Samaria and the throttling of all Jewish communities beyond the pre-1967 Green Line. 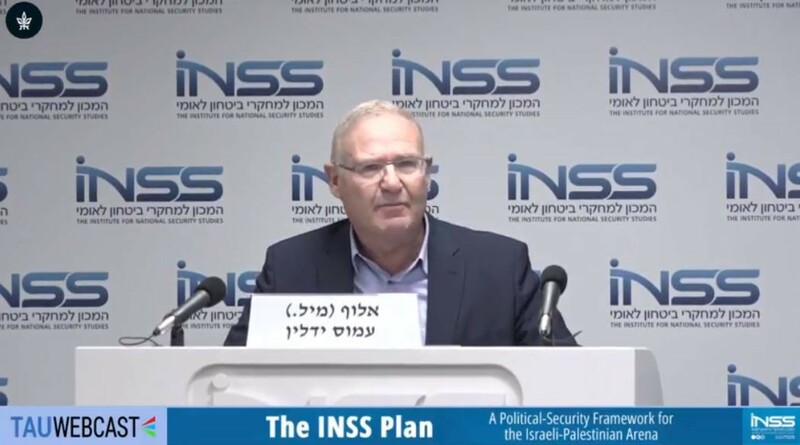 Significantly, the INSS plan explicitly defines the “preservation of the two-state option” as its “strategic purpose” — this despite the fact that in presenting the plan at its public launch in October 2018, the head of INSS, Maj-Gen. Amos Yadlin, conceded that the attempt to implement the two-state formula has failed disastrously in the past, is unfeasible in the present, and whose implementation in the future is dangerous. Echoing precisely what two-state opponents have been insisting on for decades, he pronounced categorically: “There is no-one to agree with, there is nothing to agree on — and the implementation [of any two-state initiative] is dangerous”. But then, astonishingly, rather than arrive at the rational conclusion that the pursuit of the two-state objective be abandoned and alternative approaches be explored — he did precisely the opposite! Yadlin’s patently perverse and paradoxical position on the two-state doctrine — or rather dogma — underscores precisely why it must be renounced — unequivocally and irrevocably. Surely then, when even its most avid adherents are compelled to put it on open-ended life support — with only the most tenuous and nebulous arguments to justify its contrived preservation — the time to admit irredeemable failure has arrived — and to move on to alternative paradigms to approach the Palestinian predicament. Typically — indeed, almost invariably — two-state proponents lay claim to the moral high ground, invoking lofty liberal values for their political credo, while impugning their ideological opponents’ ethical credentials for opposing it. So, why on earth then would anyone who allegedly subscribes to values of gender equality, tolerance of sexual preferences and political pluralism endorse any policy that would almost certainly obviate the ethical tenets they purport to cherish? On what basis could advocating the establishment of such an entity be considered a valid claim for the moral high ground — or indeed for any moral merit whatsoever? It is hard to say what has to happen before it is recognized that the land-for-peace doctrine, from which the two-state concept is derived, is a perilously counterproductive endeavor — as it has proven in every instance it was attempted, not only in the Arab-Israeli context, but whenever an effort was made to appease tyranny with political concessions and territorial withdrawals. For whenever that unfortunate formula has been applied, rather than result in peace, it has — as INSS’s Yadlin conceded — produced increased violence and bloodshed. Every time territory has been relinquished to Arab control, that territory has, sooner or later — usually sooner rather than later — become a platform for launching lethal attacks against Israel: Almost immediately in Gaza, within months in Judea and Samaria, within years in South Lebanon and after several decades in Sinai, which is now descending into the depths of depravity and unspeakable brutality — with no good options on the horizon. Accordingly, apart from wishful thinking, dangerously detached from any prevailing (or foreseeable) reality, stubborn adherence to the two-state dogma has no value — neither in terms of its moral merits nor its political pragmatism. Without compelling evidence to the contrary, there is little reason to believe, and certainly to adopt as a working assumption, that the realities in the south will not be repeated on Israel’s eastern border — with several chilling differences. 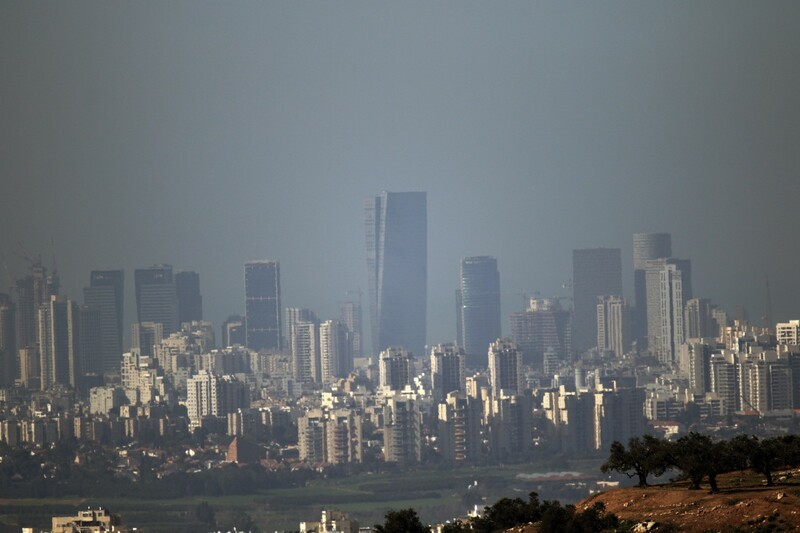 The most plausible outcome of an Israeli evacuation of Judea-Samaria is the emergence of a mega-Gaza on the very outskirts of the greater Tel Aviv area and other major urban centers in the heavily populated coastal plain. Indeed, just as in Gaza, once Israel evacuates the area, there is no way it can determine who will rule it — certainly not for any length of time. But unlike Gaza, which has a border of around 50 kilometers and no topographical command of adjacent territory inside the pre-1967 frontiers, the situation in Judea and Samaria would — to understate the case — be alarmingly different. All of these will be in range of weapons used against Israel from territory evacuated and transferred to Arab control. Accordingly, this grim caveat cannot be dismissed as “right-wing scaremongering” — for it is merely the empirical precedent. Any force deployed in these areas — whether regular or renegade — could, with cheap and readily available weapons, disrupt at will, any socio-economic routine in Israel’s coastal megalopolis, turning the popular tourist city of Netanya into a Sderot-by-the-sea, and making the attrition in daily life increasingly — perhaps unbearably — onerous. Of course, no-one can discount the likelihood that if Israel were to evacuate Judea -Samaria, it would fall into the hands of Hamas-like elements, or worse. At the very least, such an outcome is highly plausible. Indeed, the only way to ensure that what happened in Gaza does not happen in Judea-Samaria is for Israel to retain control of this territory — thereby obviating implementation of the two-state formula and the emergence of a Palestinian state. Surely then, given the grave — indeed, existential — risks inherent in the two-state paradigm, considerably heightened by the precarious position of the current regime in neighboring Jordan, threatened, as it is, by ever-ascendant Islamist elements, would it not be eminently reasonable to consider further advocacy of this perilous prescription as “reckless endangerment” — even “depraved indifference”? Accordingly, with the catastrophic consequences of continued insistence on the quest for a two-state resolution of the Israel-Palestinian conflict an ever more ominous likelihood, a determined search for plausible and durable alternatives — more moral, more rational and more compatible with the survival of the Jewish nation-state — is now an urgent imperative. This is the unequivocal position that the Israeli government must convey to the purveyors of the Trump “deal of the century”. 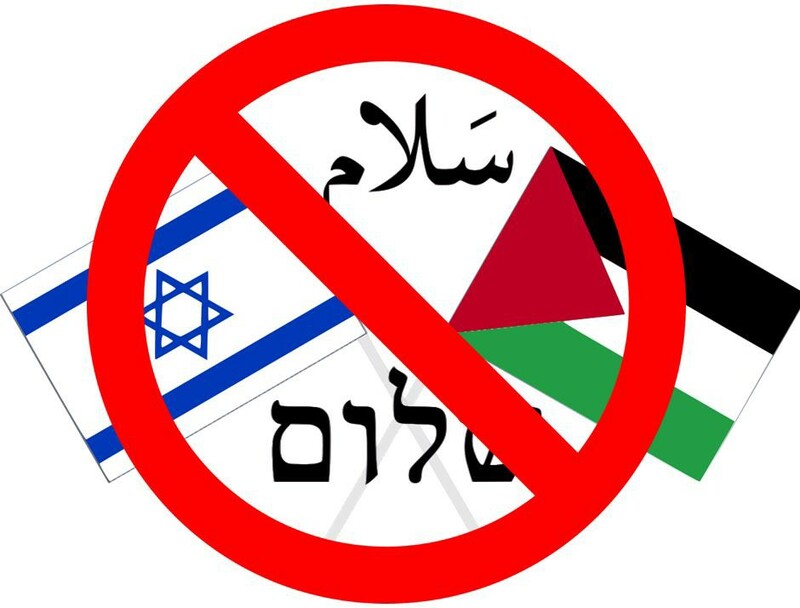 This is the unequivocal message that the Israeli electorate must convey to the peddlers of the two-state formula — whether post-dated in the guise of “separation” or not — in the upcoming elections. For, when it comes to this immoral, irrational, and irresponsible paradigm, the time to say “no” — resounding, resolutely and irreversibly — has come.